What Other Calendars are Out There? 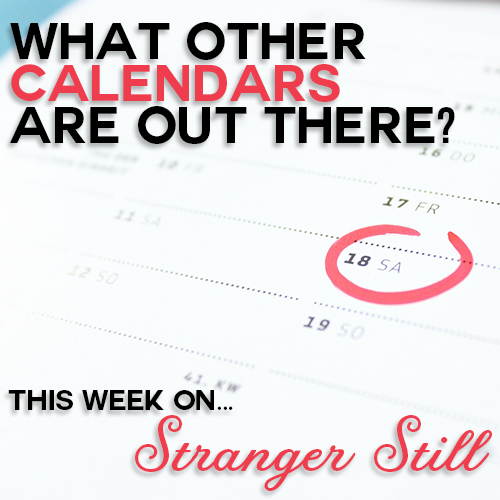 In this episode, we explore the question “What other calendars are out there?” We explore the world’s favorite thing to flip: calendars! Honestly, the topic seems boring, but it’s actually very fascinating. Some calendars have 12 months, some have 10. Some days start a midnight, some start at sundown. Regardless of which calendar you’re on, you’re still moving around the Sun, and you’ll hit a new year at some point. So happy New Year, everyone! Join us in learning about a topic that goes on for days and laughing along the way!